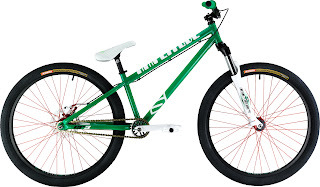 Saracen Amplitude CR3 DJ Bikes..... Now £489, was £699 thats £210 off!!! Get them while you can, we have Medium and Large in stock!! Grab yourself a Christmas Bargain with 30% off RRP and if you buy online FREE DELIVERY! Want one of the best Amplitudes in the range for a bargain price... here you go then!! The Saracen Amplitude CR3 dirt jump bike is designed to give you the support and confidence to pull of the most daring maneuvers, or tackle the most exhilarating passes. New Hope R4 Lights now in stock! The new Hope R4 Lights are now IN STOCK!! This fantastic Hope R4 light is half the size of last years Vision 4 LED but gives out an impressive 70% more power. 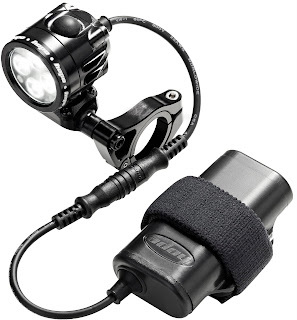 In fact this Hope bicycle light is practically brimming with power and on maximum this clever little off road bike light will generate up to 1500 lumens (1000 actual measured lumens) and has a burn time of up to 2 hours, extending to 30 hours on the lowest setting. We ran the Vision 4's last year and they were great, we can only say that these are even better! Available with three battery options, Standard, Epic, and Endurance depending on the run time you need. 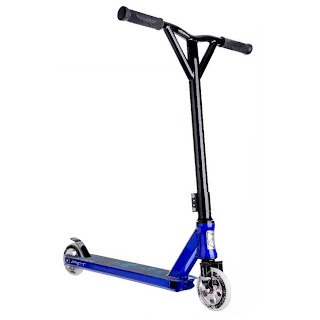 GRIT Mayhem 2 Scooters - NOW IN STOCK!! Fancy some two wheel fun of a different kind? Then grab one of these scooters!! These are top of the pile when it comes to bomb proof trick scooters!! It's back. Causing chaos in the streets, The Grit Mayhem 2 is respawned. Wherever you reign supreme, this monster can do it all, park, street and ramps. Used, abused and totally approved by top riders, The Mayhem is just that.